This is my friend Deepa Parul's recipe. She taught me and my mom this easy recipe and we make it very often. I made this today and I thought I ll post it right away. Heat 1 cup ghee in a deep saucepan and add the nuts and fry them till they turn a golden brown. Add the Wheat flour and stir well. Then add the milk and stir continuously. It will become thick now. Add the sugar and the remaining 1/4 cup ghee and keep stirring till the halwa comes off nicely without sticking to the pan. 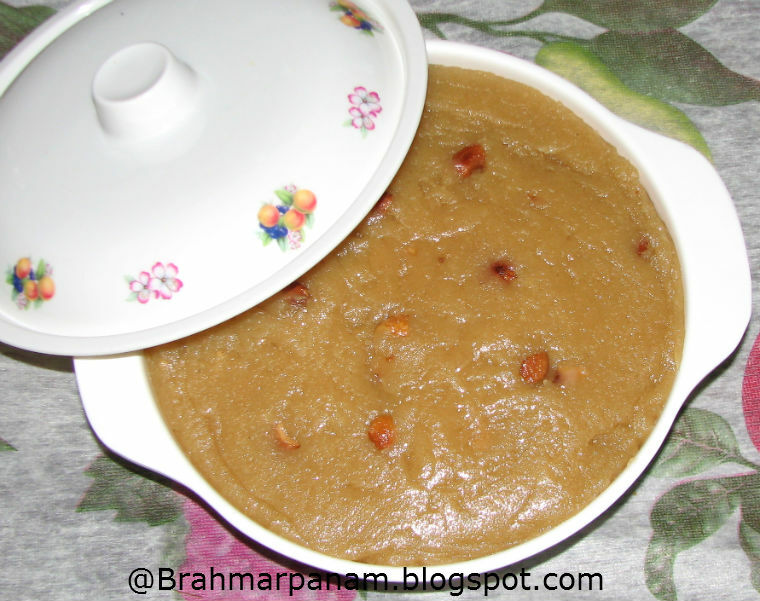 Wheat Halwa is ready to serve.